The right touch of wine or liquor can take a recipe from good to great. 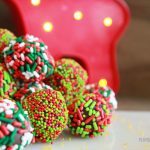 And since chocolate truffles are a classic way to celebrate any holiday or special occasion, combining chocolate and liquor to make these holiday truffles is a natural progression. I wrote about making chocolate truffles a long time ago on this blog, but wasn’t perfectly satisfied with the results. Let’s just say I’ve learned a few things since then, and now realize that there are several factors that come together to make delicious truffles. Not long after writing that post, I met a chef who makes the most delicious truffles ever…and he taught me one of his secrets: the stand mixer. I’ve never seen a recipe that uses the stand mixer to make truffles, but it makes sense if you think about it. Whipping up the cream and chocolate in the mixer adds air to the ganache, making it melt-in-your-mouth smooth and light. And oh are these melty, chocolatey goodness. Of course, I couldn’t just make plain chocolate truffles for the holidays. 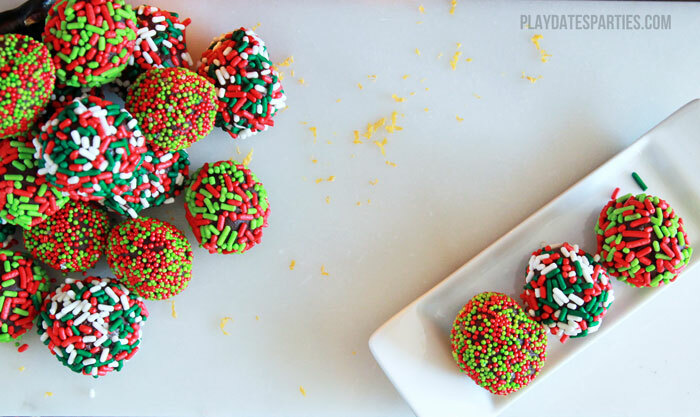 Just a few tablespoons of liquor and some sprinkles turned this favorite into a treat worth celebrating. Don’t use cheap chocolate chips. When the chocolate is the star, you want to use the highest quality ingredient you can find. 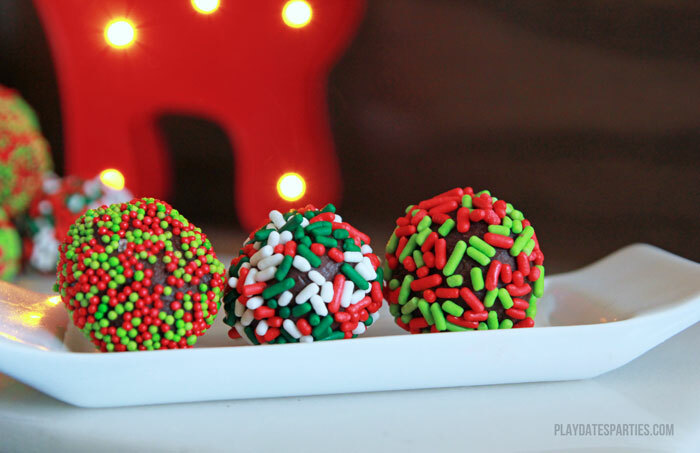 Although sprinkles are optional, they definitely add a fun and easy twist to your truffles. Perfect chocolate truffles melt in your mouth. 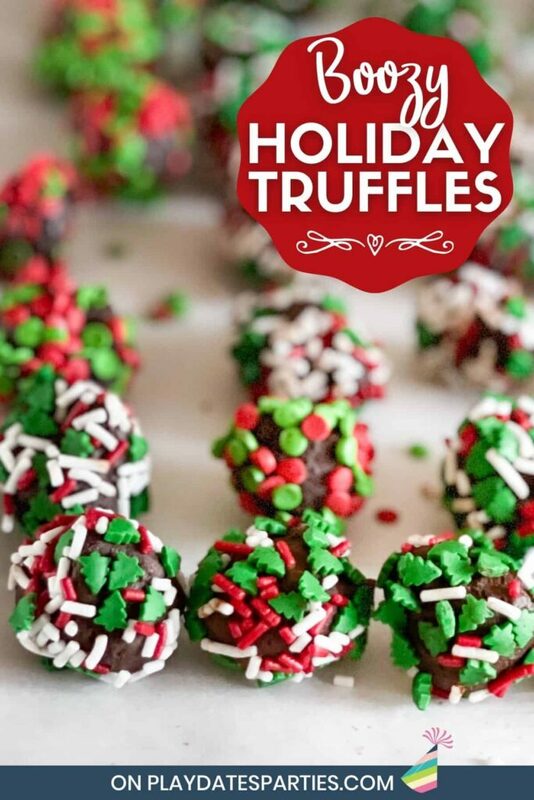 Make them even better with a touch of liquor and sprinkles to make these holiday truffles with a boozy twist. Place chocolate chips in the bowl of a stand mixer, fitted with the whisk attachment. Combine cream & butter in a small saucepan. Heat over medium heat, stirring frequently until butter melts and mixture comes to a boil. Immediately pour over chocolate and let sit for 2 minutes until the chocolate has softened. Whisk chocolate on low until it starts to melt, increasing speed as the chocolate melts further. When the chocolate is completely melted and fluffy, add zest ( if using) and liquor of your choice. Using a melon ball scoop, scoop out chocolate mixture and roll into balls. Place on a parchment lined baking sheet. Finish with topping of your choice. I used sprinkles for the holiday season. You could always dip them into chocolate for a candy shell, or cocoa powder or even scented sugar. What would you add to your truffles? Do you have a favorite classic treat? nom nom! the perfect gift to take to the office party or give to the boss (then ask for a raise!)! Thanks for sharing at the Christmas in July party! Approx how many does one recipe make? Ooo, these look lovely and sound so simple to make too. Pinning. Yum – pinned!! Thanks for sharing at the What’s for Dinner party. Hope your week as fantastic! 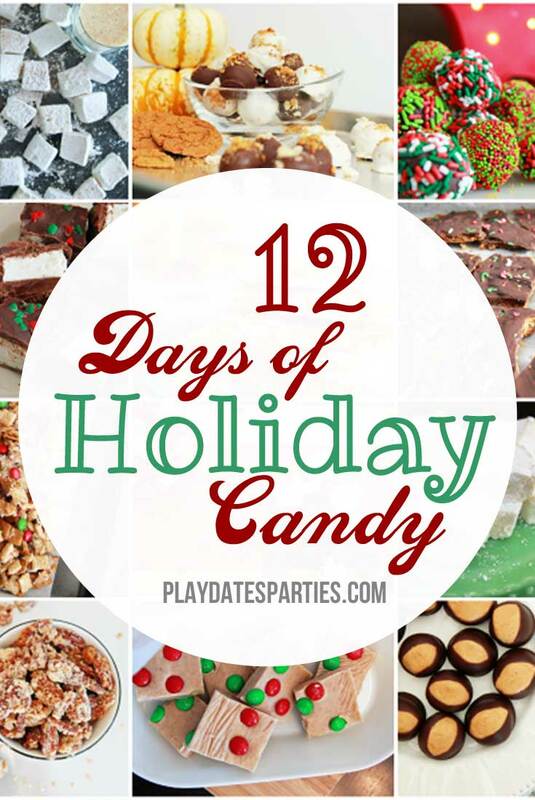 These would be great at our Great Cookie Exchange too! Ooooo I bet these taste delicious with the boozy flare!! 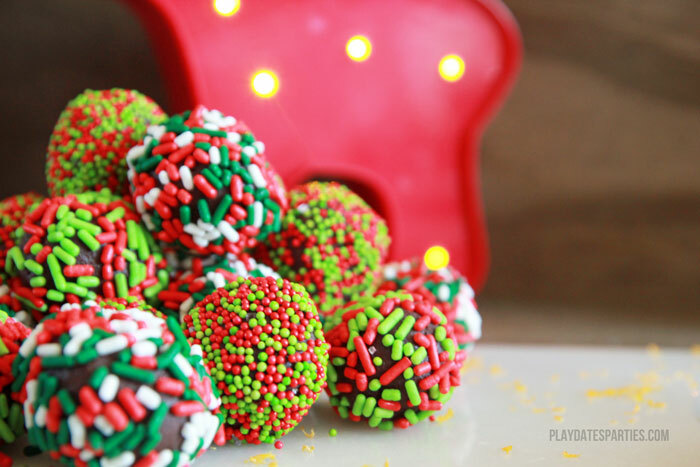 These look so festive, fun, and delicious! Can’t wait to try these! Thanks for sharing with us at The Blogger’s Pit Stop!